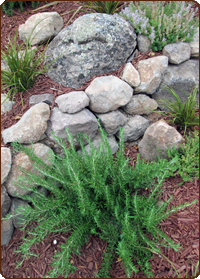 REPLACE YOUR TIRED LAWNS WITH BEAUTIFUL LOW WATER PLANTS AND RECEIVE A REBATE OF UP TO $2,000! for removing turf and replacing it with landscapes that require little water at California single-family residences to support the State's water conservation efforts. Master Plan for this modern, chic front/back landscape. Custom cutstone patio, formed concrete raised beds, extremely smart Ipa-wood fencng, this landscape features many unique and special details, reflecting the excellent taste & style of its owners. Complete with hot-tub, decomposed granite patio, custom redwood benches, concrete formed raised beds and clean lines, this design makes optimal usage of surrounding spaces, framing the small modern outdoor studio-office. The colorful plantings add an ease and playfulness to this modern outdoor gem. 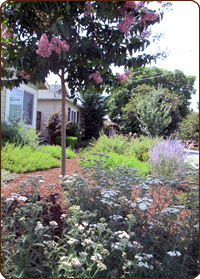 Sweeping pathworking and strong structural rock-work circulate through fruit trees, raised vegetable beds and a great selection of native plants. There's even a hammock for resting and taking in the views. Super functional and fun, this landscape reflects the rugged, expansive, harmonious nature of the owners. A master planned landscape design integrating a virtual showcase of landscape design details; strong open path working, gentle berms, rock work, short craftsman fencing and raised beds show off the impressive native plant catalog. Complete with raised redwood vegetable beds front & back, decomposed granite patio, paths, this modern landscape is the ultimate daily getaway at home. Classic all organic, low water homesteading never looked smarter! 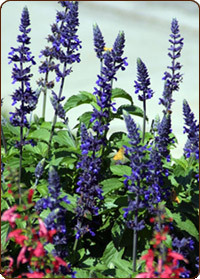 A sweet variety of California Native Plants and intriguing details make this quaint family plot buzz with interest including many welcome pollinators. Rich scents and vibrant colors stretch from beginning to end in this idyllic garden setting. Soothing and eclectic balance of colors, textures and tones - this Mediterranean-style modern landscape design makes maximum use of the available space. Small artistic details create a unique environment that stays interesting, comforting and inviting. 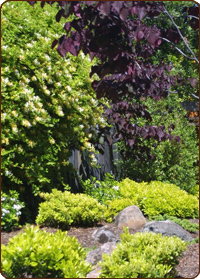 A beautiful and durable selection of ground-covers, shrubs, vines and trees completes the experience. Friendly, inviting front & back Master Landscape Plan with a great mixture of traditional & exotic materials, flowering plants and shrubs, complete with turf-lawn, integrated (beautifully composed) fruiting vines, trees and even a fully realized rose-garden, make this a productive, memorable atmosphere. Great details like the sleek front planters, custom modern concrete & cut-stone walkways and low-water, evergreen grasses & shrubs, combine to create a virtual How-To blueprint for winning, livable urban design. Would you like to see your tired old front lawn gone? 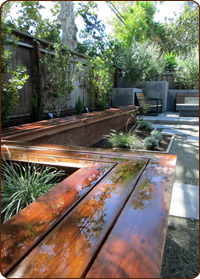 Can you imagine the ideal assemblage of drought tolerant, low water, California friendly plantings? We can and did with the help of one of our chic clients. Starting with only one gallon plantings, in just over one year this once tiny front landscape is now a low-water feature in the neighborhood. Where many low water, drought tolerant gardens look dry & flat, this garden has color, volume and style to match - and it's just getting started! A winning recipe in any book. Viewers of this amazing low water garden can expect a seasonal explosion of flowers that's sure to please. With a vibrant mixture of plant types, colors, textures and forms, this garden sports the diversity that helps to sustain equally diverse insect life. Extra-points because it's just so fun to work with and to view. Fine gardening makes a huge difference and this garden proves it. Simply splendid! 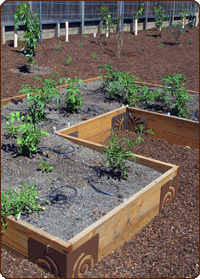 This forward-thinking homeowner worked with us to transform unused and rather conventional looking back yard spaces into a sprawling vegetable garden replete with multiple types of fruiting trees, scores of different (and exotic) veggies, vines for grapes, custom made raised beds, even copious lavenders to ensure ample pollinators - all using standard low-water drip irrigation methods. A bonafide vegetable garden lovers paradise! Another relitively recent front & back Master Landscape Plan and a very special one at that. Careful consideration of slim rectangular spaces lends the ideal setting for lush, evergreen screens. We found the perfect, and positively breathtaking hardscape material, which not only adds substance but reflects all the colors in the house exterior as well as all the plants. Top it all off with some carefully placed detail rock and you have a perfectly modern, low water retreat. This beautiful, mostly evergreen, low water, low maintenance garden design was created for a very nice family who wanted to transform a boring patch of lawn into practical garden space with a decidedly Asian theme. Wide sweeping pathways blend effortlessly into lush colors and textures, revealing hidden areas and small nooks just waiting for discovery. Structural garden art finishes off this near perfect garden. 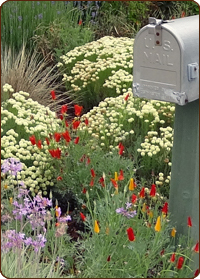 This young garden in Campbell California features an appealing variety of plants & shrubs including beautiful ornamental grasses and innovative, low water native-grass turf. The mixture of instant grass plane and ornamental framing of the soon to be installed water feature achieves a subtle yet playful balance which is overtly relaxed, effortlessly natural and undeniably interesting. While all our gardens are special, this garden is a stand-out example of low water, low maintenance plantings fitting perfectly in the contemporary urban setting. Overflowing with bird and insect life, this garden design features a sublime mixture of natural colors and textures. This young garden is causing quite a bit of neighborhood-garden envy and for very, very good reasons. 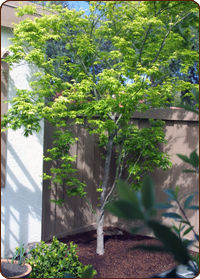 > BAY AREA ARBORIST COOPERATIVE INC.
> GOLDEN BEAR ARBORIST INC.
All Rights Reserved. 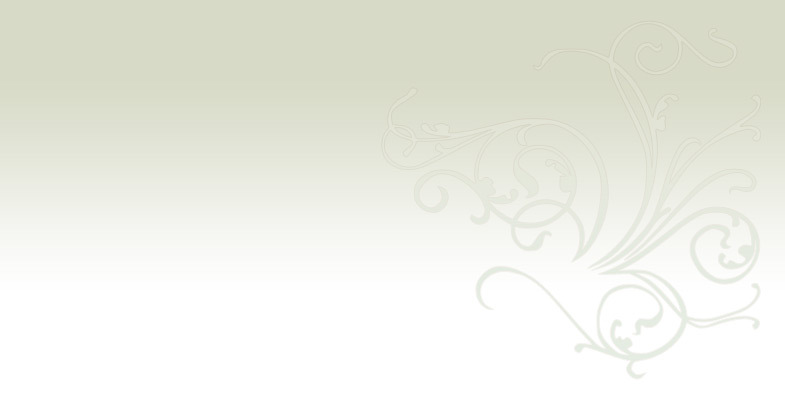 No part of this website may be used or duplicated without express written permission.